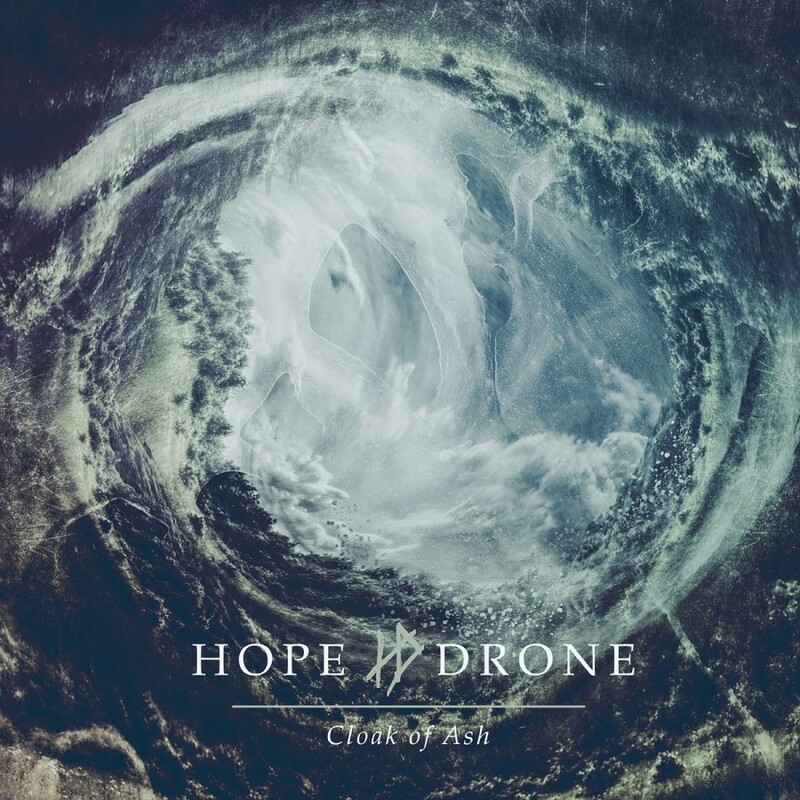 Cloak of Ash, by Brisbane band Hope Drone, is a monumental and affecting collection of seven extremely cohesive songs. This music is very evocative. It made me imagine several images, such as precipitation: rain clouds form, thunderheads rumble, currents of air swirl, torrents of rain fall, floods surge, mist and droplets shimmer. Something about the careful density of this music creates a link, in my mind at least, with the patterns and shifts of the earth. Rhythmic, melodic and vocal ideas are harnessed within long-form compositional structures, and the band executes these designs with extremely resonant, open and rough-hewn textures, complemented by tones centred on wavering variations of dark melancholy. The seven evocatively titled songs – The Chords That Thrum Beneath the Earth is my favourite song name – burst with energy and feeling, on average clocking in at around 10 minutes in length (the opening track Unending Grey is a 20 minute-long mini-epic). 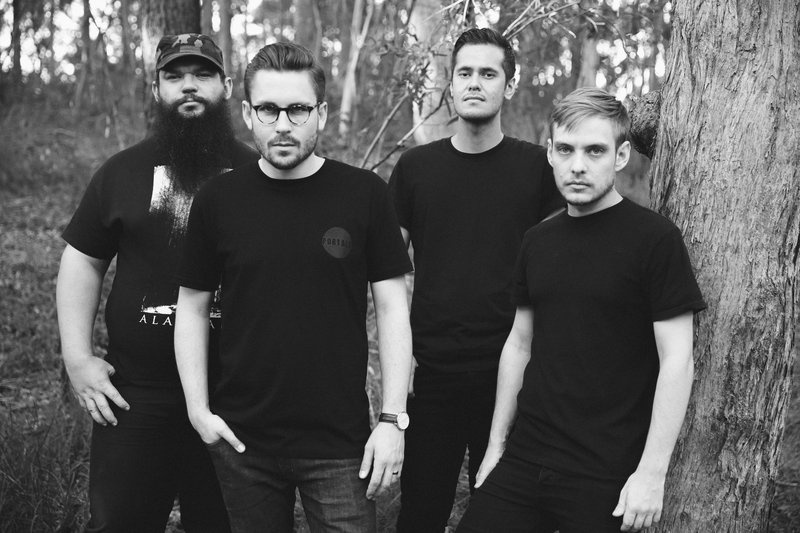 The length of the album is, I think, a conscious decision by the band – Karl Hartwig (guitar), Christopher Rowden (guitar and vocals), Francis Kell (drums) and Aaron Pickersgill (bass) – to test the endurance of the listener. And while it isn’t an easy listen, much is to be gained from the journey. There is so much texture in this music: the bass drum and snare, which often sound very ‘live’, punctuate swelling, thrumming, echoing electric guitars (treated with reverb and multiple other effects). The guitars, welling centres of gravity, often convey slow-release melodic beauty, contrasting their material with the harshness of the vocals and the powerhouse rhythm section. Rowden’s vocals are mixed relatively low, a decision that I felt added another dimension to the exploration of texture being undertaken. Tempos shift, allowing the band to explore the heaviness of a harmonic and textural idea. ‘Heavy’ is an oft-bandied adjective in the world of metal – it can mean anything from ‘cohesive’ to ‘intense’ to simply ‘low in register’ – and it plays an important part in Hope Drone’s work. But it is the way that the band play with this idea that make Cloak of Ash such a satisfying listen. The return of the bass and guitars 15 minutes into Unending Grey is a case in point. The heaviness of the drums here reminds me of John Bonham’s playing on the classic Led Zeppelin song Since I Been Loving You. Another memorable statement of heaviness occurs six-and-a-half minutes into the title track, where a little extra spice on the articulation from the guitars serves to produce an impressive tightness across the ensemble. Hope Drone often use ‘blast beats’ – the fast oscillation of bass drum/ snare drum/ cymbals), a rhythmic convention closely associated with a genre like black metal – to intensify the feeling of dispersion and release that arises when the band move into a less intense section of a song. In slightly different ways all of the songs on Cloak of Ash perform this tension-release move, what could perhaps be called a ‘large-scale cadence’ if it was to be put into a different type of musicological language. It’s the building and then the release of energy, a transfer that takes place over periods of three, four or five minutes, and it is an outstanding strength in Hope Drone’s music. One of the strongest tracks is the last, Carried Apart By The Ceaseless Tides. Providing one of the most rewarding ‘releases’ of the album, Carried Apart exemplifies the shift from intensity to calm. The immediacy of the playing, and the pendulous rocking of drums as they mark time and bind this sonic organism, is hypnotic. Cloak of Ash is, on all fronts, an excellent piece of work.